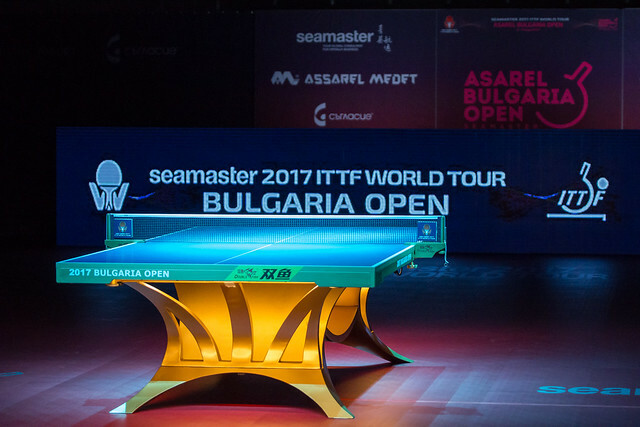 The Women's Singles competition has officially begun at the Seamaster 2017 ITTF World Tour Asarel Bulgaria Open and the opening round of fixtures in the top half of the draw produced positive outcomes for the Japanese contingent on Thursday 17th August. 16 matches were played out in the upper half of the draw, Japan succeeded in each of the ties. Asuka Sasao picked up somewhat of an upset victory in her Round of 32 encounter, as she eliminated the seventh seed Georgina Pota from the competition. Hungarian star Georgina Pota entered the match with the odds in her favour and soon found herself holding a two games lead following a positive start to the tie, however, Asuka Sasao responded well and five games later it was the Japanese player who was celebrating (11-5, 11-9, 5-11, 7-11, 11-4, 10-12, 5-11). “I am really happy! I’m looking forward to the next match and hoping for a win”, Asuka Sasao. The next opponent for Asuka Sasao is fellow compatriot Maki Shiomi, who saw off Lee Yu-Peng of Chinese Taipei across four ends (11-9, 9-11, 11-2, 11-8, 12-10) to move through to the last 16. There were four further victories for Japanese competitors facing European opponents as Yui Hamamoto, Mizuki Morizono, Kasumi Ishikawa and Misaki Morizono all prevailed in their respective matches. Seeded 10th for the Women’s Singles draw Yui Hamamoto was expected to come through her tie against Russia’s Valentina Sabitova with little difficulty, and the Japanese player didn’t disappoint as she raced to a straight games victory (12-10, 11-8, 11-7, 12-10). Mizuki Morizono faced a potentially tricky encounter against the host nation’s Maria Yovkova, but over the course of five games (11-4, 11-7, 11-13, 11-7, 11-5) it was unseeded contestant who came away from the match with a win to her name. Right at the very top of the draw was an intriguing fixture for the number one seed Kasumi Ishikawa, who was forced to comeback from a losing position before eventually going on to claim a solid four games to one triumph over the Czech Republic’s Iveta Vacenovska (6-11, 11-5, 11-6, 12-10, 11-4), while Misaki Morizono also picked up a positive result against Czech opposition in the form of Dana Cechova (11-5, 11-6, 11-5, 11-7).